What is the Swans DFDC? The Swans District Football Development Council (SDFDC) exists to grow, develop and promote football throughout the Swans District. The SDFDC is seeking to partner with likeminded companies to support the delivery of exciting community development programs in the City of Swan, Shire of Chittering, Shire of Kalamunda, Shire of Mundaring and Town of Bassendean. The Swans District vision is to provide the most innovative, inclusive and professional sporting experience in Western Australia. The core business of the Swans District is the governance of AFL within our local district; promoting and developing the game; managing competitions, overseeing clubs, expanding and developing our relationships with schools and community groups and the enhancement of facilities. 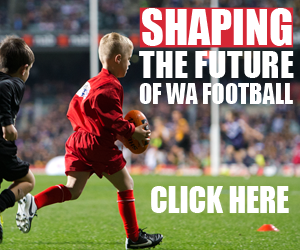 The key stakeholders in the Swans District include junior clubs, senior clubs, primary schools, secondary schools, local government, state government, federal government and Swan Districts Football Club. But, with the population continuing to evolve in the City of Swan, other stakeholders are becoming increasingly important including Filipino Australian Sports Association (FASA) Indian Society of WA (ISWA) & Vietnamese Community Association. The Swans District has a number of diverse challenges with more than 15% of people in the City of Swan coming from countries where English was a second language. 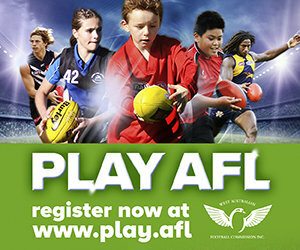 The United Kingdom, New Zealand, India, Vietnam and South Africa represent the biggest slice of naitonalities in the City of Swan, which is why designing AFL programs to increase participation in new markets must remain a key priority for the Swans District now and into the future. The Swans District is situated in Perth's Eastern suburbs which encompass the City of Swan, Shire of Chittering, Shire of Kalamunda, Shire of Mundaring and Town of Bassendean. Western Boundary- From the juncture of the City of Armadale and Gosnells and the Shire of Kalamunda, North West along the North Eastern border of the City of Gosnells. Further North West along the borders of the City of Canning and Belmont to the Swan River. The boundary continues to the Northern side of the Swan River then South West along the Swan River following the locality border of Bassendean and Ashfield. The boundary then moves North West following the Ashfield border and then the West side of the City of Bassendean, around the West boundary of the localities of Eden Hill and Kiara to Benara Rd. East along Benara Rd to Lord St and then North along the Western border of the localities of Caversham, West Swan and Henley Brook to Gnangara Rd. Continue East along Gnangara Rd following the Southern border of the locality of Ellenbrook, then follow the Eastern and Northern border of Ellenbrook to its intersection with the locality of Lexia. Follow the Northern border of Lexia West to its juncture with the West side of the City of Swan. The Western boundaries of the City of Swan and Chittering complete the Western boundary. Northern Boundary- The boundary of the Shire of Chittering from its junction with the City of Wanneroo. Eastern Boundary- The common boundary between the Shires of Chittering and Toodyay, the City of Swan and Toodyay, Mundaring and Northam and Mundaring and York to its junction with the city of Armadale. Southern Boundary- Westward along the southern boundary of the Shire of Kalamunda from the point adjoining the Shire of York to the juncture of the Shires of Kalamunda, Gosnells and Armadale.